Yoruba kings appear in public wearing voluminous robes and veiled, cone-shaped crowns (ade) adorned with colorful coral or glass beads. The earliest crowns were made entirely of African red jasper beads. This example incorporates translucent glass beads, which allow the colorful patterns to become infused with light, adding depth to the overall design. 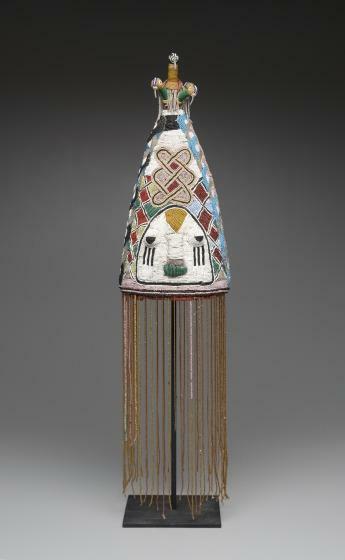 Each motif on a Yoruba royal crown (adenla, "the great crown") symbolizes divine kingship. The crown usually features one or more stylized faces, which are thought to symbolize deities or the king's predecessors, going back to Oduduwa, the founder and first king of the Yoruba peoples. The white face on this crown indicates an association with ancestral kings as white refers to the afterlife, and the interlace pattern above the face symbolizes eternity. The royal bird at its apex represents communication between heaven and earth, although other interpretations refer to the mystical powers of women. 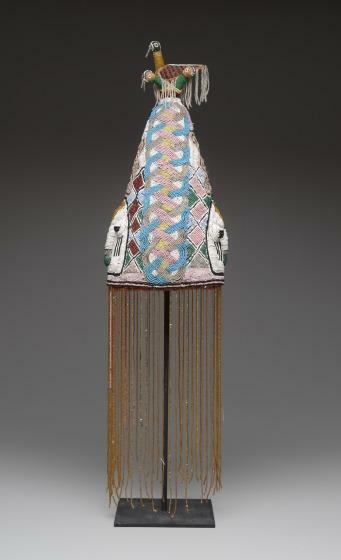 The conical shape of the crown is also important: it refers to the inner or spiritual head (ori inu). 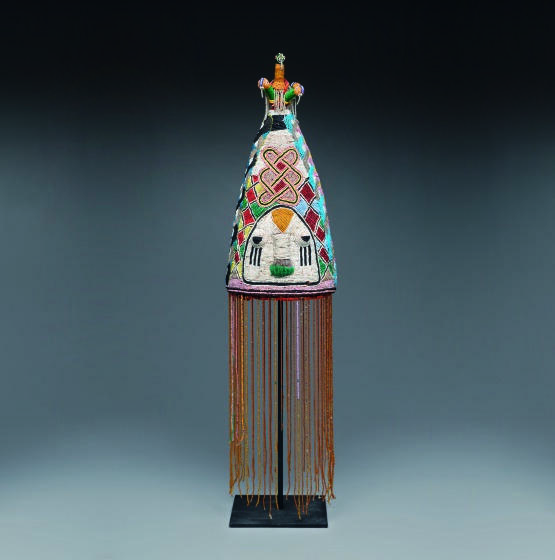 The beaded veil conceals the king's face as he acts on behalf of the deities rather than himself. A king can choose from a variety of orikogbofo, or everyday crowns, which may express his personal taste. 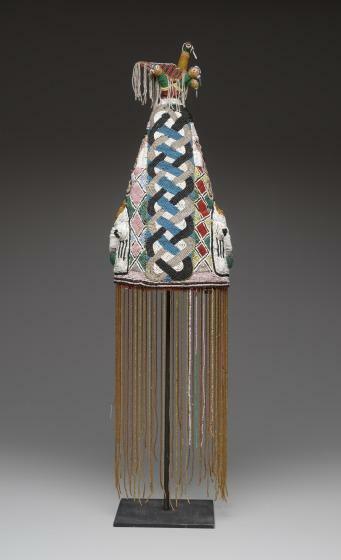 Roslyn A. Walker, African Headwear: Beyond Fashion (Dallas, TX: Dallas Museum of Art, 2011). Roslyn A. Walker, African Headwear: Beyond Fashion, Label text, 2011.